The Bolshoi Theater seemed to be asking for trouble when it chose Richard Strauss' "Der Rosenkavalier" for one of its new opera productions of the current season. Tradition and a well-honed sense of appropriate style play a critical role in the performance of Strauss' operas, and the Bolshoi could hardly be said to have either, considering that its sole previous encounter with an opera by Strauss — his "Salome" — took place some 87 years ago. Beyond that, a search through the Bolshoi's roster of singers would have revealed practically no one capable of adequately dealing with any of the opera's five principal parts — meaning that "Der Rosenkavalier" could have no chance whatsoever of success without a wholesale importation of the right sort of singers from abroad. But somehow, against all odds, the Bolshoi managed to assemble not just one, but two superior sets of principals with music director Vasily Sinaisky on the podium giving its massive orchestral score an unusually well-played and authentic-sounding performance. Added to that, the theater came up with a staging that must certainly count among the best it has produced in post-Soviet times. "Der Rosenkavalier" returns to the Bolshoi Wednesday through Sunday for the first time since its April premiere, with the same two casts as those of April singing alternately in the four performances. English director Stephen Lawless' novel setting of each of the opera's three acts in a different century, rather than all of them in 1740s Vienna, as the libretto specifies, works surprisingly well and adds a certain life and liveliness to the proceedings not usually found in traditional stagings. Belgian designer Benoit Dugardyn places the first act in a bedroom that seemed far too cavernous and accessible a place for the Marschallin's intimacies with her young lover, Octavian. But for the rest, he succeeds quite nicely: For Act II, a porcelain-decorated salon, circa 1870, in the home of the recently ennobled Faninal and, for Act III, a corner of Vienna's famous amusement park, the Prater, as it was in the 1930s. Every one of the principal singers, as well as those from the Bolshoi's own company and its Young Artist Program who filled nearly all the many minor parts, could rightly be singled out for praise of some sort. There were simply no weak spots in the casting. Statuesque German soprano Melanie Diener is no doubt one of the finest interpreters of the Marschallin to be found anywhere in the world today. But her beautifully nuanced performance at the Bolshoi was nearly matched by Russian Yekaterina Godovanets, who has mostly trained and sung abroad and is now a soloist of the Nürnberg Opera. Both Englishman Stephen Richardson and Austrian Manfred Hemm happily avoided overemphasizing the vulgarity of Baron Ochs, and sang the bass-baritone part with greater accuracy than is often heard. Two excellent baritones, world-renowned Sir Thomas Allen, from England, and Michael Kupfer, from Germany, proved nearly ideal as the befuddled social climber, Faninal. Providing a happy surprise as Sophie and Octavian were two recent graduates of Bolshoi's Young Artist Program, soprano Alina Yarovaya and mezzo-soprano Alexandra Kadurina, both of them natives of Ukraine. Though not as pure-toned or as confident on stage as her counterpart, Lyubov Petrova, a singer who has risen to stardom on major opera stages of Europe and the Americas, Yarovaya nevertheless delivered a Sophie of real quality and substance. In the case of Kadurina, it was difficult to believe that such a super-slim young lady could possess such a sumptuous voice, one that she applied with nearly as much skill to the music of Octavian as her more experienced counterpart, English mezzo Anna Stephany. Both singers proved thoroughly adept at playing the role of an amorous young man. 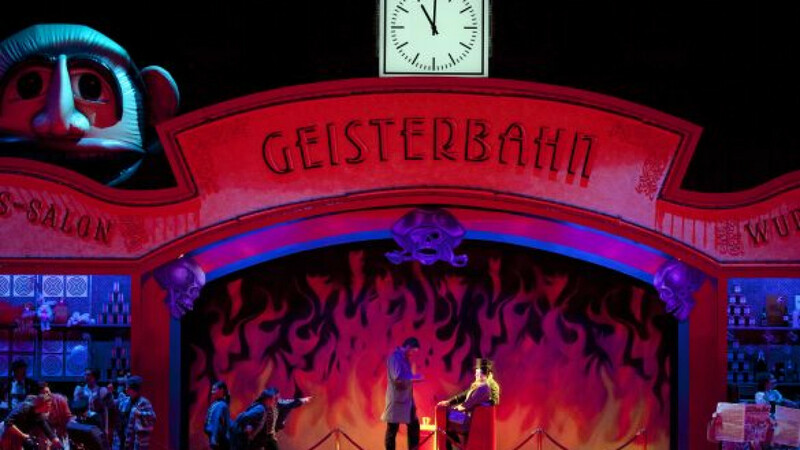 "Der Rosenkavalier" is a long opera, lasting some four hours, and has its tedious moments. But compensating for that, and bound to be appreciated by anyone familiar with the story and willing to listen attentively, is some of the most engaging music and heart-warming drama ever to find its way on to the operatic stage. At the time of the April premiere, director Lawless expressed surprise at how many members of the Bolshoi's opera audiences leave the theater before the final act. If you plan on attending "Der Rosenkavalier," don't even think of following their example. For missing Act III means missing some of the most glorious music Strauss ever wrote, the trio in which the Marschallin resigns herself to the inevitable loss of her young lover, followed by the duet that finds Sophie and Octavian dreaming of a blissful future in each other's arms.